The Super Bowl brings an assortment of viewers. Some like to watch the game while others only watch the game for the half-time show, when a big name performer plays for the biggest audience of the year. This year the Black Eyed Peas performed a well choreographed show. I have heard from different people they felt it was not well down for one reason or another, but honestly, the reason the musicians performed was to entertain a crowd. That is exactly what BEP accomplished. They brought high energy to a hyped crowd and spectators. From when they were lowered to the ground to the last costume blinked off, I thought it was a good performance. They accomplished their goal, which is to entertain the masses. And yes, I’m sure there is room for improvement, but it is what it is. A group of artists performing a half-time show for billions of people. End of story. Great job! 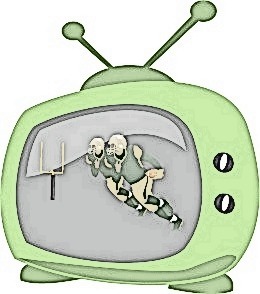 Then you have perhaps one of the biggest reason non-football enthusiasts watch the Super Bowl: Commercials! Commercials costing companies millions of dollars to have their product advertised for 30 seconds. However, it is worth the cost. The advertisers try to put together a commercial which captures the audience’s attention while at the same time giving them something to remember. For example, look at those wonderful Doritos commercials. From the little pug dog taking the door off the hinges for a taste, to the creepy office guy licking people’s fingers, as well as the ability to bring dead things back to life. It is something one does not forget easily. I still shiver mentally when I picture the office guy sucking on a co-workers fingers. Can we say gross? Yuck! But hey, they did their job–I remember the commercial. There were some pretty funny commercials. My family laughed at the Chevy truck commercial with the Lassie story line. The truck would honk and blink its lights and the man would say “What is it boy? Tommy fell in a ditch?” and off they go to save little Tommy. The Pepsi commercials were a big hit to the boys, they laughed when the obnoxious man was hit with the cold Pepsi cans after harassing another guy. The teens enjoyed the Justin Berber commercial with Ozzy & Sharon–their favorite line “he looks like a girl”. Perhaps my favorite commercial was the Darth Vader Volkswagen car commercial. The little boy was dressed as Darth Vader and tried to get various items to respond to his hand commands. The boy eventually made his way outside and raised his arms up in front of his father’s car. All of a sudden the car beeped and the lights flashed, amazing the child and making him wonder if he really did have “Vader powers”. Meanwhile, the parents were watching from the kitchen window and the father has the remote in his hand, punching different buttons. I thought that was the most realistic commercial, as what parent wouldn’t do something to make their child feel special.